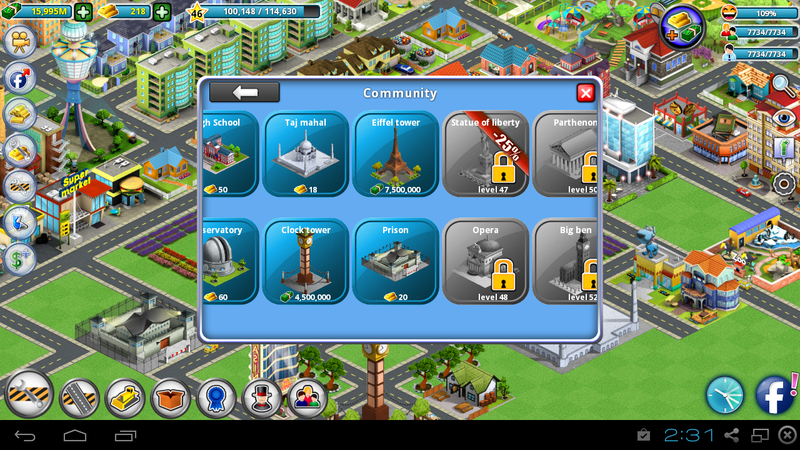 City Island is a free to play app simulation game by Sparkling Society which offers in-app purchases. The graphics are great! Very high quality, good art style, pleasant to look at. The designs for all of the buildings and decorations in City Island are never boring. The music is pleasant to listen to and the sound effects are just fine. 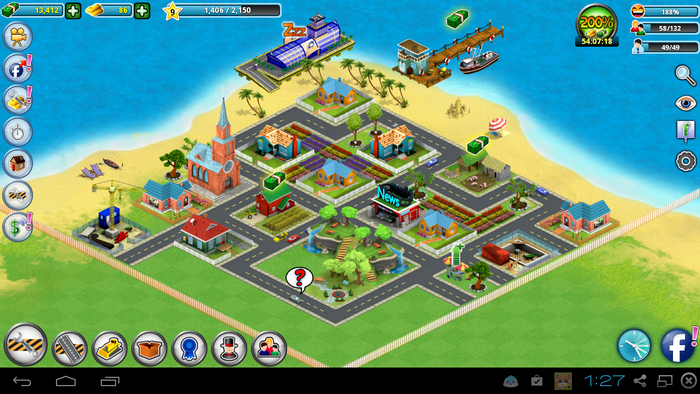 City Island is a great app game to play for many weeks to come. You start out small and work your way up to expand your city. In the beginning, making money may seem like a challenge and not as easy as get, but after a while (if you’re investing in the right commercial buildings) making money becomes much easier. 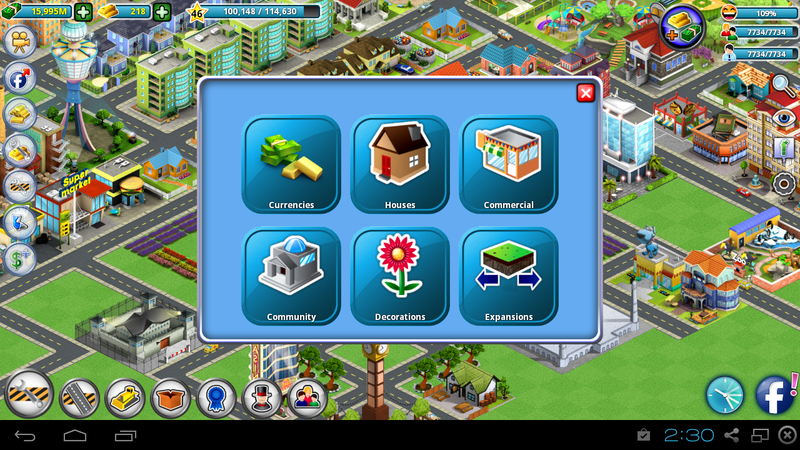 City Island provides you with the fun challenge of keeping your citizens happy and to have enough workers for all the jobs that you will make available while expanding your city. It may take many hours for something to build or upgrade, sometimes more than 10. So it is best to place new buildings overnight so it may be finished in the morning or when you next check the game again. Unless you waste your gold on finishing upgrades or buildings, you won’t be short on it. Use it wisely: spend it on commercial buildings that will make you a lot of money in a reasonable amount of time. 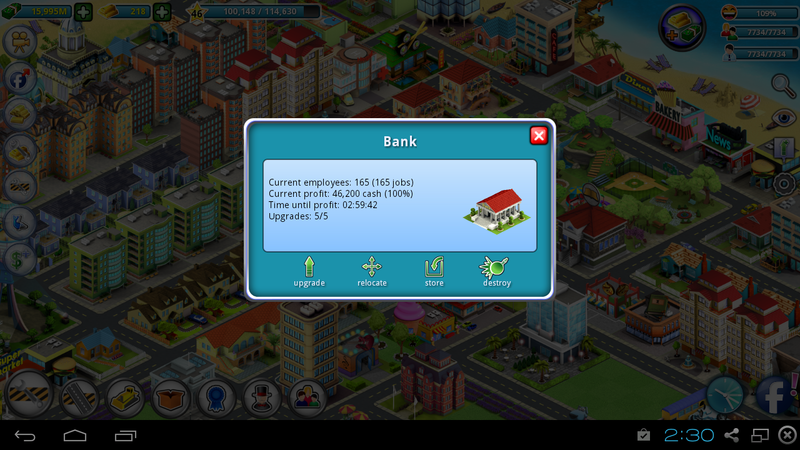 Upgrading and placing buildings can take many hours. Always check how long it will take and if it takes long, start the upgrade or building before you go to bed or go to work and it will be done when you’re finished. If not, it will be cheap to instantly finish it. Use the ‘Discover Apps’ feature. It will earn you a lot of cash and gold, especially valuable when you are a new player. Plus, you may see a game you like! Important, especially for new players: around every 4 hours, a pirate chest can be found in the water around your island. Clicking the pirate chest will give you money or gold. Also important, especially for new players: Sparkling Society provides its players with gift codes every week! So keep an eye out on the Sparking Society Games Facebook page for codes that can be redeemed in any of their games. They will grant you money and/or gold. You can also put in friend codes, which is certainly a nice money bonus for beginner players of City Island. City Island is a fun sim game that offers hours upon hours of game play. There are tons of things to put into your city, ranging from simple trees to large buildings such as a prison or Taj Mahal. Sparkling Society is very actively involved with its community and provides its players with many extras in the form of gift codes, which can be redeemed in any of their games. 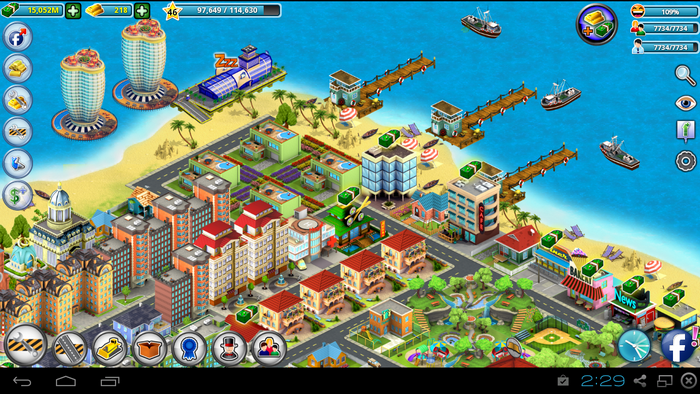 However, eventually, City Island becomes mostly about clicking your income, which can be taken in a good or a bad way. Good is: you can start relaxing and spending less time playing the game. Bad is: it starts to feel like grinding to level up. Never the less, I feel this is a game anyone should try. Hence, my final verdict for the app City Island is an 8 out of 10.